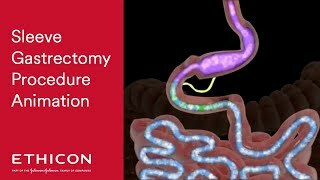 Vertical sleeve gastrectomy reduces the size of the stomach so that patients feel full after eating much less, thereby taking in fewer calories, and losing weight. During surgery, the stomach is stapled and divided vertically, removing about 85 percent of its capacity while retaining the nerves and outlet valve to preserve function. What remains, resembles a very slim banana with an approximate volume of three to five ounces. Gastric bypass surgery is a restrictive and malabsorptive procedure, meaning it not only limits the volume of food that can be eaten, but also decreases the absorption of fat and calories. During the operation, a surgeon will use staples to divide the stomach into a small pouch. Next, the small pouch is connected directly to the small intestine. As a result, patients feel full after eating less, and there is malabsorption of calories. Newer research also indicates roles of several different hormones that help with weight loss and resolution of diabetes. Sometimes, patients may not lose sufficient weight or they have health issues that require additional interventions. 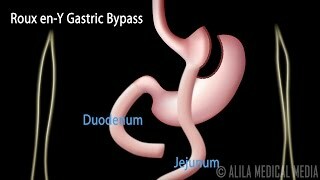 In these cases, a second bariatric surgery may be required. It is recommended that all options for revisions be discussed with a surgeon beforehand.